This one caught my eye because it implies that a 2-week-old child went unnamed. I am not surprised to find that stillborn or day-old babies often went unnamed, but two weeks seems like an awfully long time to me. 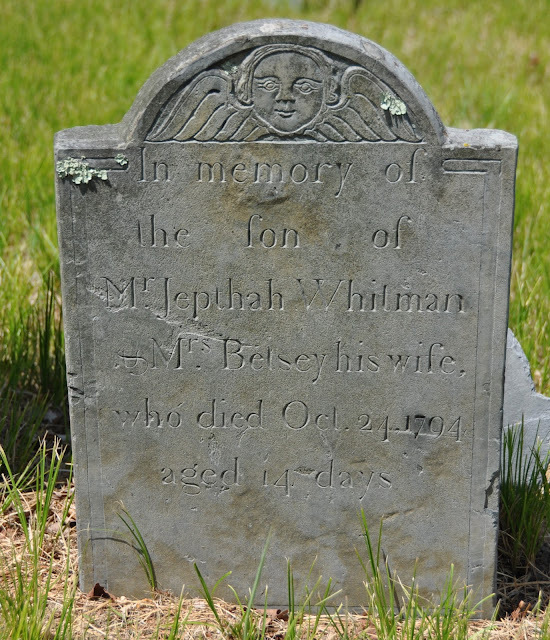 Other gravestones indicate that 2-week-old infants were generally named.